As silly as it sounds, there was a time in my life when my shadow became a kind of guardian angel, a surprising friend in what can sometimes be the loneliest of places: New York City. I was a young 20-something working hard to build my career in public relations. Dressed as fashionably as my budget allowed, I'd swing a leather tote and click my cheap heels, admiring the long shadow cast and the way the sunlight warmed me. My "shadow friend" remained by my side, joining me in corporate meeting rooms and later on humanitarian trips with UNICEF to El Salvador, Haiti, Sarajevo and elsewhere. It escorted me to social outings with old and new friends, and it was right there when I married a boy named Brett from a neighboring town in Connecticut where I'd grown up. I can pinpoint the moment everything changed. It was when Brett was diagnosed with brain cancer only four years into our married lives. From then on, the light of my shadow fell away; I had lost a sense of self. While no one could predict the path Brett's cancer would take, all hope and trust and safety in the world felt eclipsed. Life would take many turns for us over the next seven years (and not all of them bad in spite of my initial terror). As the patient, Brett did all he could to separate himself from his disease. He fought like hell in the chemo clinic and after radiation and surgeries so that he did not have to identify with being a cancer patient. Never did he broadcast his cancer. It was exactly the opposite: He did everything he could to avoid talking about it. We go where we need to go. Retaining emotional distance was necessary for Brett, but I have an equally brave friend fighting cancer today who shares her setbacks and gains on Facebook many times a week, sometimes twice a day. Members of Christy Bailey's Facebook Fan Club know when she's strong enough to go on a hike and when her oncologist gives her a pep talk that the malignant pleural effusion she has isn't the death sentence she fears it might be. In this way, Christy feels less alone and more supported by the web of friends who would love her to wellness if only we could. My own style as a cancer caregiver was somewhere in between Brett and Christy's. Being told your husband had a terminal disease at age 30 meant that fear was always lurking, even if left unsaid. I couldn't not talk about it even though asking for help made me cringe, especially when we were beyond crisis mode, when life simply moved to its altered beat. And now that the emergencies were behind us, there was only the numbing sensation of trauma and real life. I wanted you home with me because your very presence reassured me. Instead, I lay in bed and stared mindlessly into your cedar closet. You'd left the door open. Your business shirts lined the front pole, and you kept a full jar of spare change on the top shelf... Eventually, yes, I started my pajama-clad morning from the tiny, makeshift office at the back of our dining room. I sipped my coffee, and began, like always, by looking out the window. In such empty moments, I found that I could separate from your cancer. I gazed at the cracked concrete of the building adjacent to ours. Its imperfections soothed me. -- Both Sides Now: A True Story of Love, Loss, and Bold Living. I used to believe that all stories had a beginning, middle and end. Brett died in February of 2004, just shy of his 40th birthday. I was 37, and our twins were 2.5 years old. While in the most obvious of ways, Brett's death was a finite end; it would take several years for me to realize not only that the three of us could make a pleasing new life, but that doing so meant rewriting our story. That was the hard part. For reasons I have yet to fully understand, I wore widowhood like an unsightly blemish. I'm embarrassed by the intensity of my feelings, but that is how I felt. Marked. Tarnished. Out of sync. Tell me about yourself. "I'm Nancy Sharp. I'm widowed." Imagine. These are the first words I used to introduce myself in any business or social situation. It was less of an apology than a justification for living. Shame is toxic however you view it. I let "I'm widowed" define me, choosing to ignore all the other parts that made me whole -- as mother, daughter, friend, writer, lover of good food, spiritual seeker and the kind of reader who dreams of a week alone on the beach with nothing but books for entertainment. Even after the twins and I left Manhattan for the open skies of Denver in 2006, this was the story I told my new community: "I'm widowed." It wasn't until my second year in Colorado that the story line shifted. I was taking a Kabbalah class, and the instructor asked us to introduce ourselves the way we might at a party. I began..."I'm Nancy Sharp. I'm widowed." This time I stopped myself. The tears came fast and were pooled with shame. I had come to this painful truth on my own. How could I possibly make a new life for myself and my children in Denver when I was still tethered to the old story. Now the risks were even higher because I'd begun to seriously date a TV news anchor who also happened to be widowed with two children. Was it even conceivable for us to be together if I was still stuck in the past? From then on, I began to reframe my story. I simply stopped mentioning the "W" word. I didn't go out of my way to avoid such talk; I simply chose not to focus on it. I chose to talk about my writing and my children and how much fun I was having in Denver fixing toilets, learning to tell a weed from a flower and grilling chicken kabobs--things I never did during the previous eighteen years in Manhattan. When I slipped and reverted to the old story line, I corrected myself and moved on. Is there even one degree of separation between those whose lives have been touched by cancer and those who remain unscathed today? I doubt it. For the 1.6 million people in the U.S. alone who will be diagnosed with cancer in 2014, do not let cancer become your life narrative. For the millions of cancer survivors, keep moving forward, living strong and bold. For all those caregivers and friends who will forever mourn loved ones lost to this disease, hold your memories dear without letting them obscure the present. The same is true for loss of any kind. The best way to memorialize a loved one is to choose life. 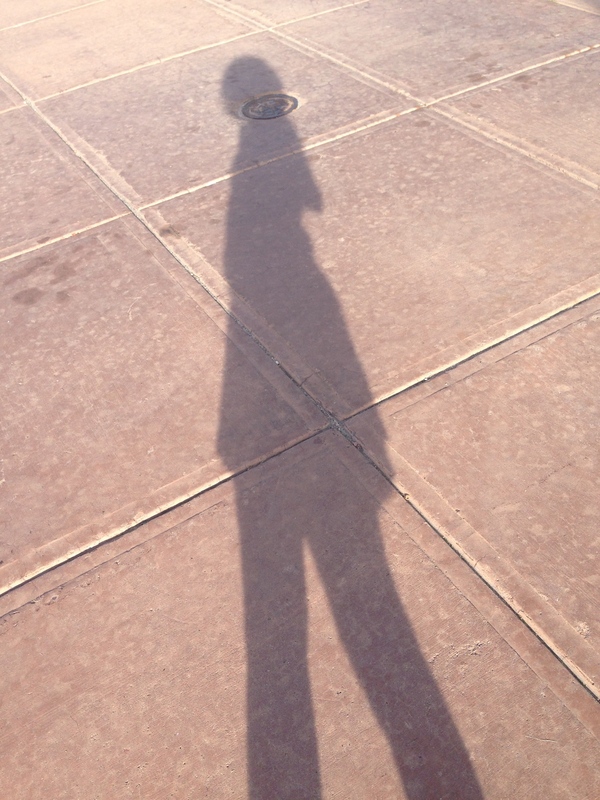 Wherever you are, dance to the light of your shadow, and by all means, write the story you want to live.